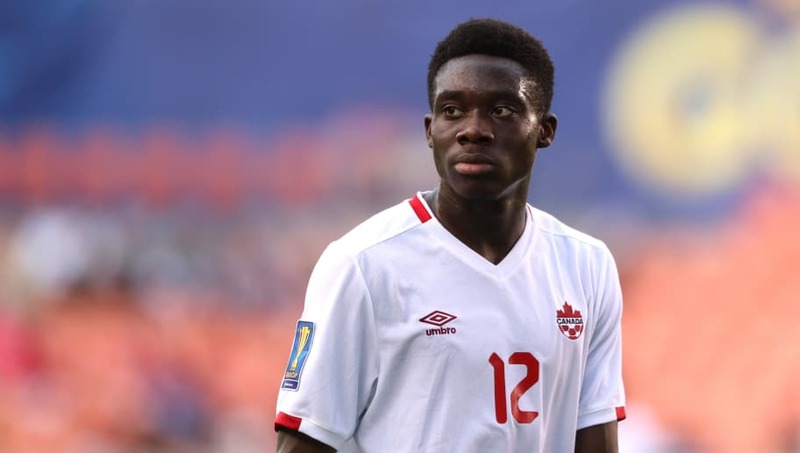 Vancouver Whitecaps head coach Carl Robinson says that Alphonso Davies has remained grounded and focused on helping his team despite his impending move to ​Bayern Munich. Last month, ​Davies reached an agreement to join the German champions after the current Major League Soccer season ends. At $22m (£17m), it will be the largest fee an MLS club has ever received for a player. But Robinson claims that Davies has not allowed his form or his attitude to drop since signing for Bayern. "He's exactly the same and people who know him will tell you his feet are on the ground," Robinson told ​CBC. "Once you get to know him, you know what a character he is. That's why he gets on with all the boys in the locker room. "But his feet have remained firmly on the ground. And if they weren't, I'd bring him back down to earth. Because he's going to have to get used to that when he leaves us at the end of the year. "But while he's here I'll make sure he conducts himself properly and he's a proper teammate. Individuals don't win anything, teams win things. And that's the dynamic that I have at this football club." Davies has already made 56 MLS appearances for the Whitecaps despite only being 17 years old. This season he has scored five goals in 22 appearances. He also has six Canada caps to his name and scored three times in last year's CONCACAF Gold Cup. In so doing, he became the first player born in the 21st century to score at a major international tournament.